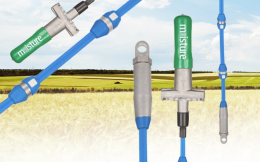 Accessories have a significant impact on the efficiency of your grain monitoring system. 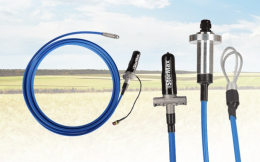 With Flaman’s selection of grain monitoring accessories, you’ll have a fully optimized set up unique to your farm’s needs. We carry moisture and temperature cables from both OPI and BIN-SENSE for you to choose from, as well as the BIN-SENSE Fan Controller for additional control. OPI moisture and temperature cables are compatible with your pre-existing OPI system for easy set up and use. 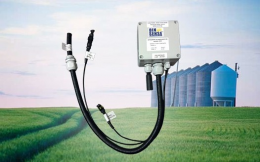 The cables feature sensors that accurately monitor the moisture, temperature and humidity to ensure the advanced control over the quality of your stored grain. The StorMax temperature cables are retractable, with and outer structural tube to protect the inner sensing element which can be easily replaced regardless of the bin levels. Cables from BIN-SENSE are compatible with your pre-existing BIN-SENSE system as well, including BIN-SENSE Live and BIN-SENSE Direct. 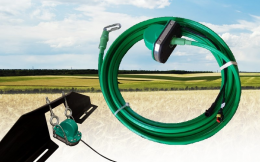 Designed for a variety of grain storage facilities, these cables feature accurate sensors, an innovative swivel head design, a centering flange for easy alignment and are available in standard to industrial strength. Combine your choice of cables with the BIN-SENSE Fan Controller, a tool that allows you to remotely control your aeration fans from your smartphone, tablet of computer when connected with BIN-SENSE Live, and you will have unrivalled control over the health of your stored grain. We take pride in providing the best solutions to our customers’ grain monitoring needs. 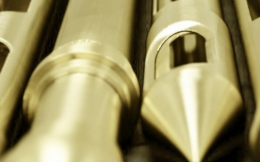 Our knowledgeable and experienced staff are always ready to assist in designing the perfect system for your farm. Visit your nearest of 9 Flaman dealerships, located across Alberta, Saskatchewan and Manitoba to chat with a member of our team.